There are a handful of chiropractic educational institutions in the world that are guarding the sacred trust, and Life West is gratefully one of them. In this episode, we catch up with third-generation chiropractor Palmer Pete, who’s shared some great chiropractic insights and stories as well as catches us up with the happenings at Life West. 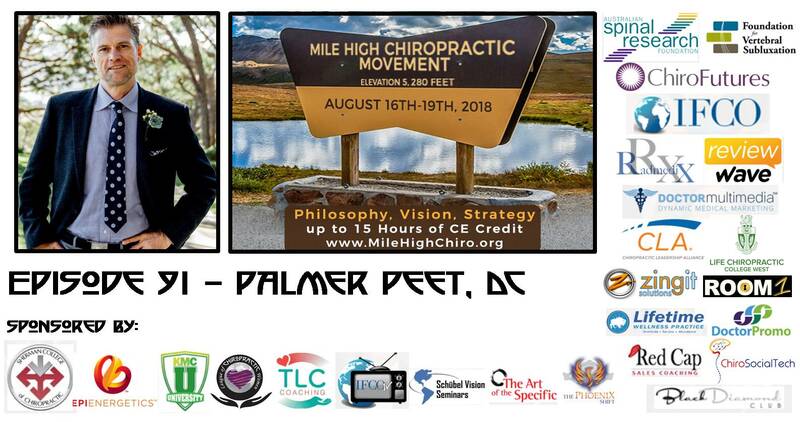 In this episode we talked with the Life University grad Palmer Pete about lasting purpose, philosophy, science and art of chiropractic, the adjusting skills of Life West students and graduates as well as guarding the sacred trust. Question of the day: "What chiropractic schools would you send prospective students to?" Please let me know in the comments.